I found some spare moments yesterday to finish the big brother pigeon quilt top. The fabric is all from Cloud 9’s line featuring illustrations from Mo Willem’s Don’t Let the Pigeon Drive the Bus! I just wanted to use half square triangles and strips, similar to little brother’s. Here are the two tops together. (Sorry for the badly-lit camera phone shots. Time crunch.) It was fun playing with the contrasts in value in fabrics that use a very limited color palette. Last night I also got a chance to baste them both! I’m kinda proud of that. We’re heading to another wedding this coming weekend, so I’m glad to make progress and stay on track to finish these before August 5th when the kids to back to camp. 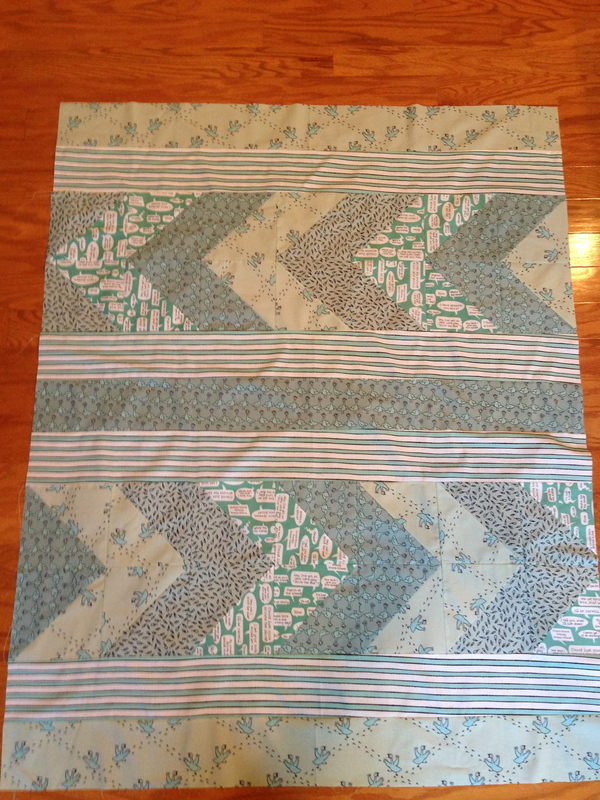 Tonight in Beginning Quilting class we piece! 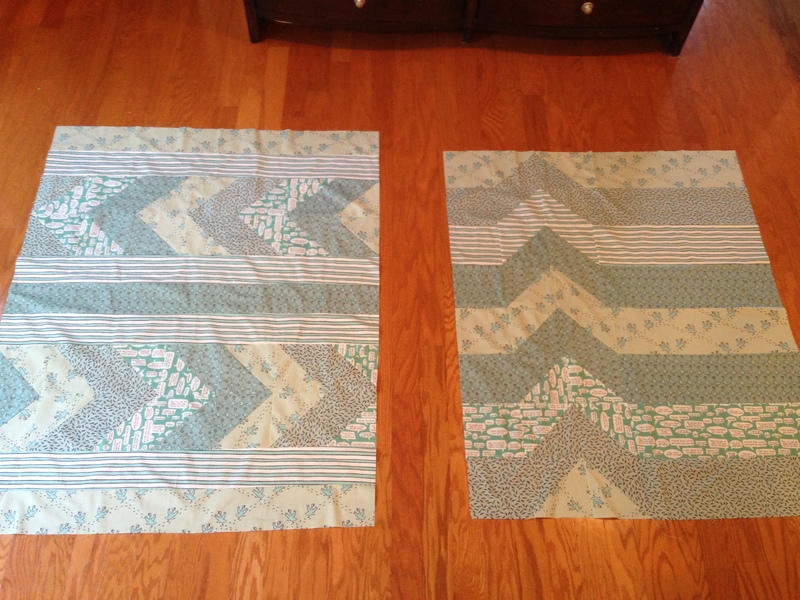 I love watching my students’ quilts start to come together. These are great! Love how you are involving the boys. They are going to cherish these quilts. You are making heirlooms. Nice work!